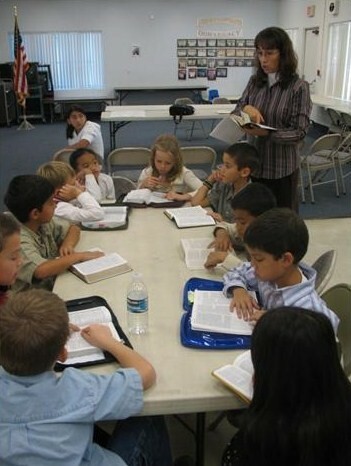 Each lesson in Bible Lessons for Children is divided into five basic components. 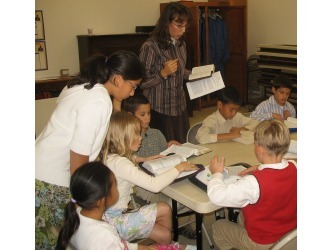 In its entirety each lesson is written to be taught within a 60-90 minute timeframe, so less time requires adaptations. 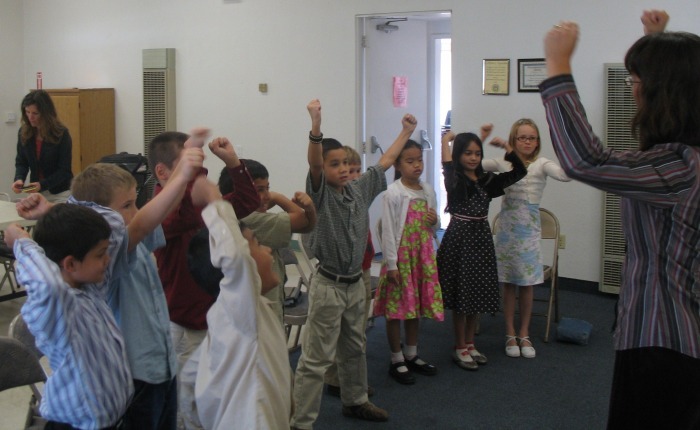 "Bible Facts & Songs" teaches students information about the bible. 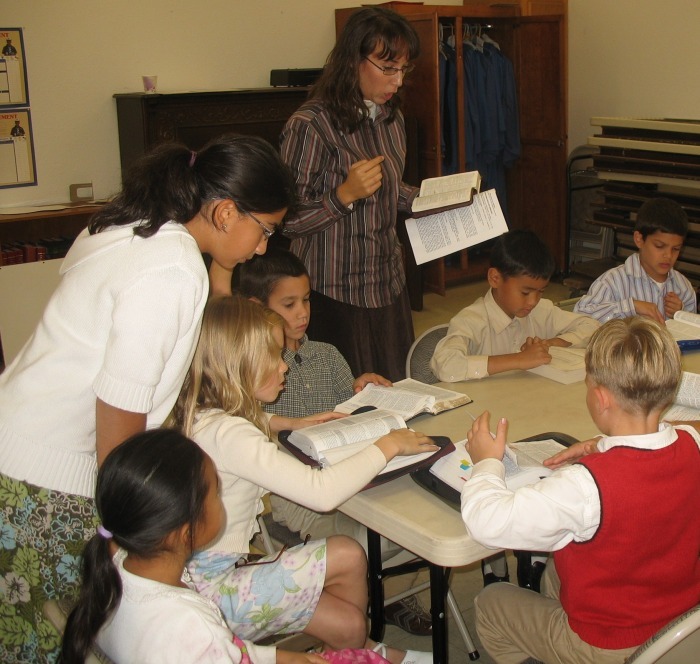 The "Bible Reading" and "Bible Discussion" components are used together to teach students the scripture chronologically. 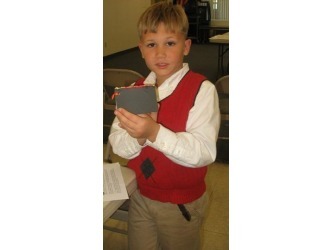 The "Bible Memory" and "Bible Craft" components are used together to teach students the bible through memorization. 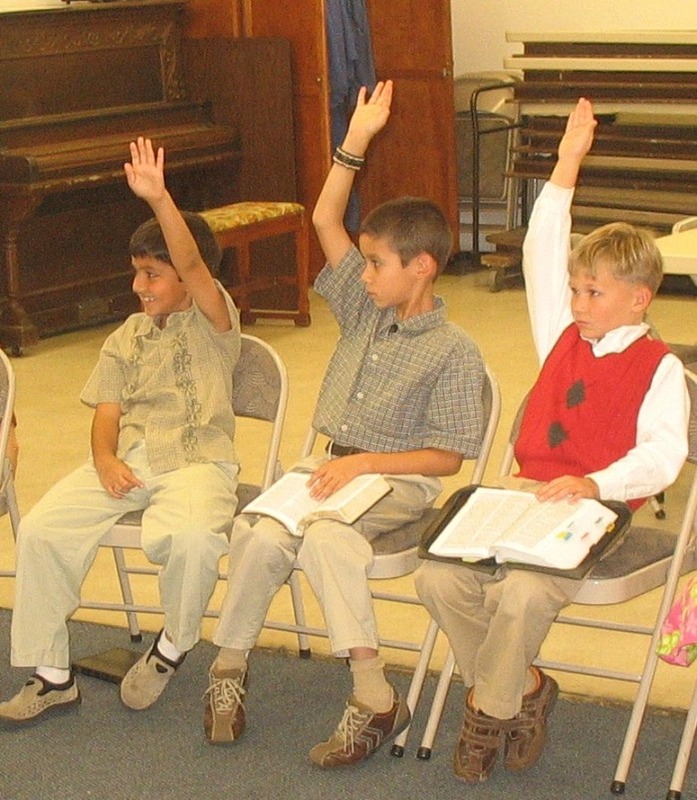 During opening, students spend 5-10 minutes participating in songs, quizzes, and bible drills focusing on basic bible facts such as books of the bible, book writers, categories, etc. Students sit in rows or a semi-circle facing the leader with no table so that students have freedom to move. 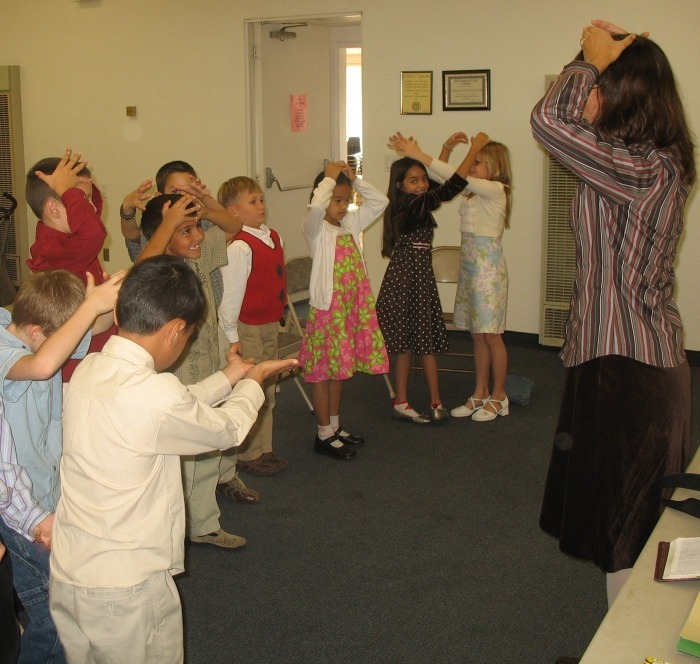 In the photo, students sing the "Books of the New Testament" song while clapping to keep their rhythm. 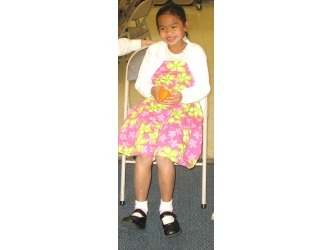 Leader and students spend about 15 minutes reading the bible passage while applying a variety of different interactive reading and comprehension activities. 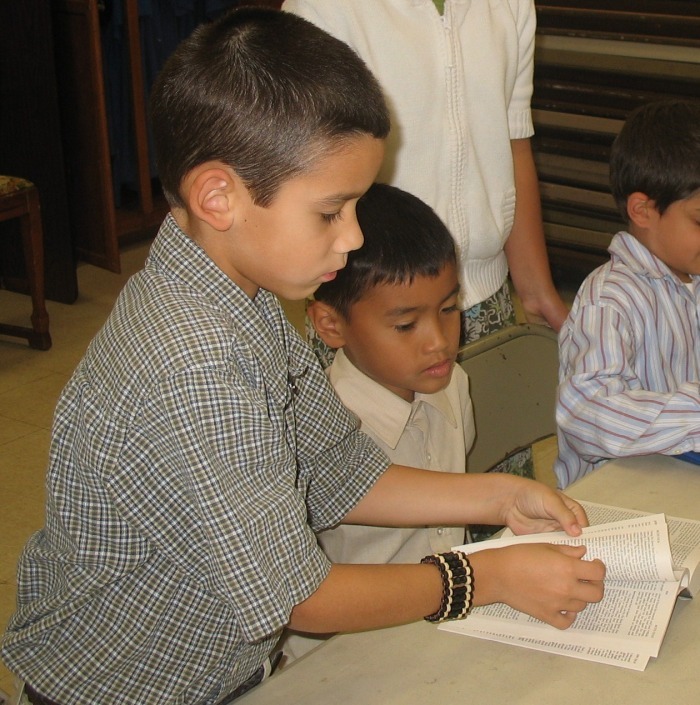 To participate fully students have access to bibles, preferably all the same version. Sitting around a table is the best setting for this part of the lesson. Leader and students spend about 15 minutes discussing the answers to questions concerning the text, focusing especially on God’s actions and attributes. A word poster is used to help students to learn and use vocabulary describing God. Students sit in a fellowship circle and a variety of different sharing activities are used. The time is closed with group prayer, thanking and praising God for "Who He is" as learned in the bible reading. 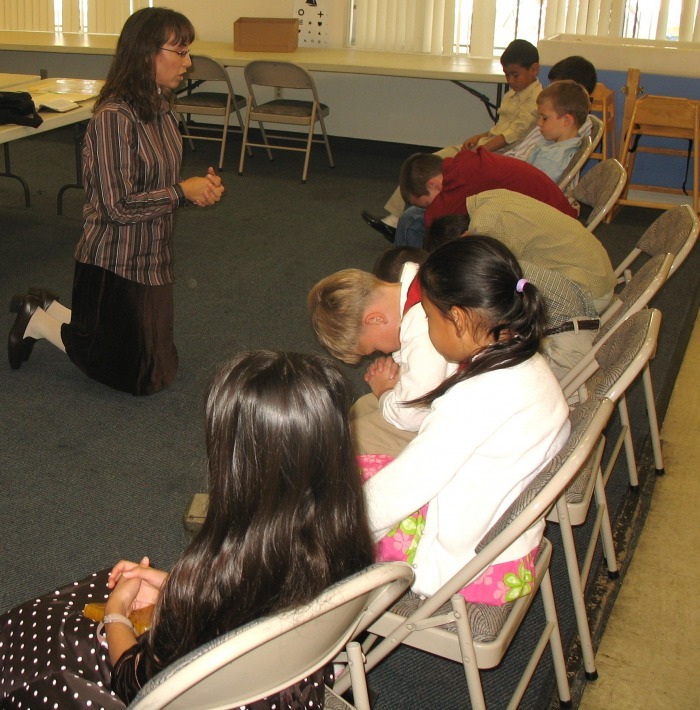 In the photos, students catch the bean bag for an opportunity to answer questions about the bible reading, practice the attributes of God vocabulary, and participate in group prayer. 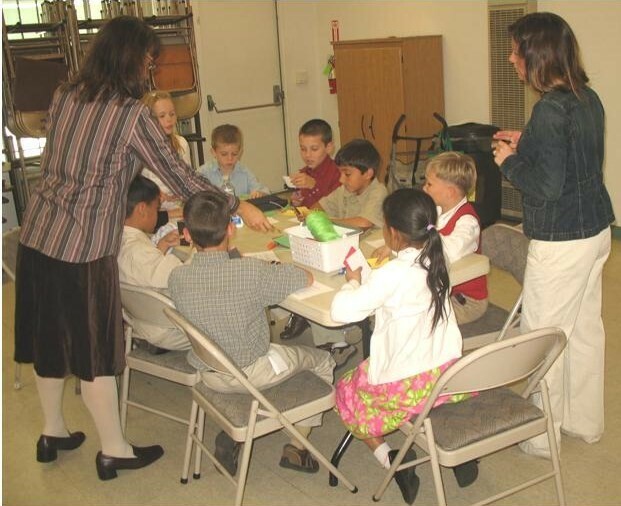 Students spend about 10-15 minutes participating in interactive memory activities. Students sit in rows or a semi-circle facing the leader with no table so that students have freedom to move. 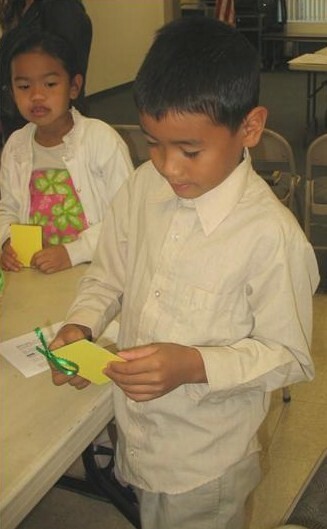 In the photo, a student earns stickers for sharing what he has memorized. 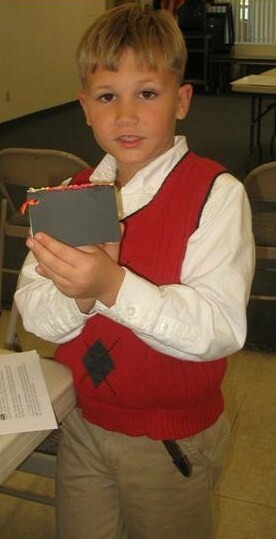 As time allows, students complete craft activities that reinforce the memory work of the day. 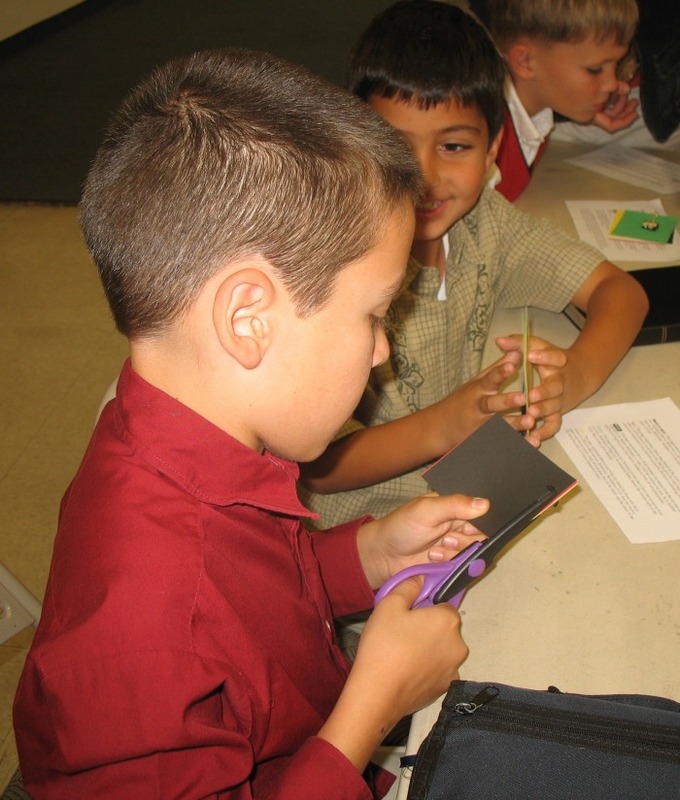 Activities require easily accessible materials such as paper, scissors, glue, crayons, etc. Sitting around a table is recommended. 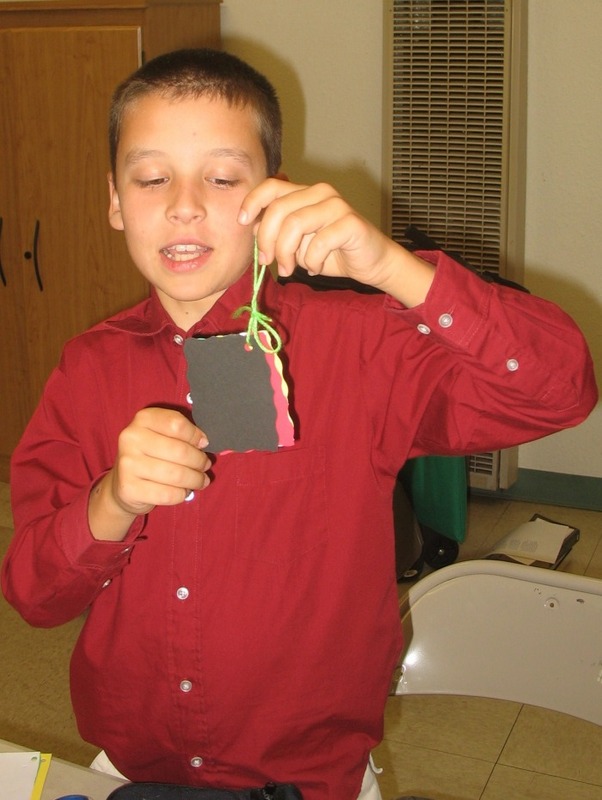 In the photos, students make and practice using the "wordless book" as a means of sharing the gospel.